Nemone sits in for Lauren Laverne and Black Rebel Motorcycle Club are live in session. 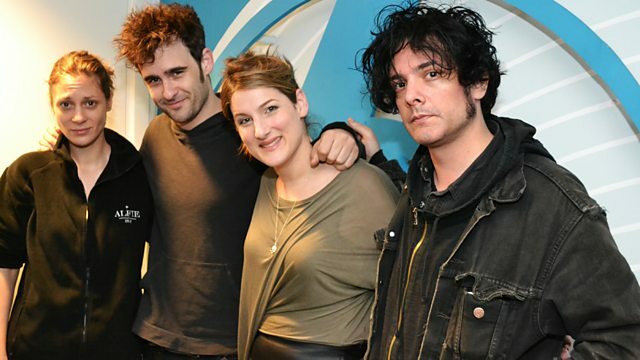 Black Rebel Motorcycle Club are live in session playing tracks from their sixth album Specter At The Feast. They recorded the majority of the album at Dave Grohl's studio in LA on the same console that is featured in Grohl's 'Sound City: The Movie' documentary (also the same board they recorded their debut album on - 2001's B.R.M.C) Since the band's debut release Black Rebel Motorcycle Club have released five highly regarded studio albums, released two live DVD's including 2010's 'Live in London' and toured relentlessly across the world. Nemone sets the theme to this week's Peoples Playlist; half an hour of brilliant tunes chosen by you that gets played out each Thursday. Plus free music with MPFree and take some time to enjoy a rather fabulous Headphone Moment. Play It Again Sam [PIAS].